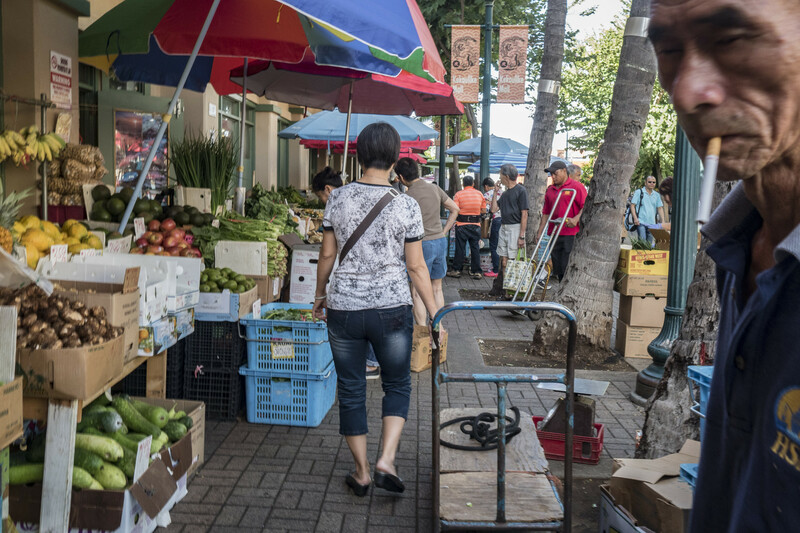 The action starts early each day in Honolulu's Chinatown, especially on weekends, as visitors descend on vegetable stands and meat markets. 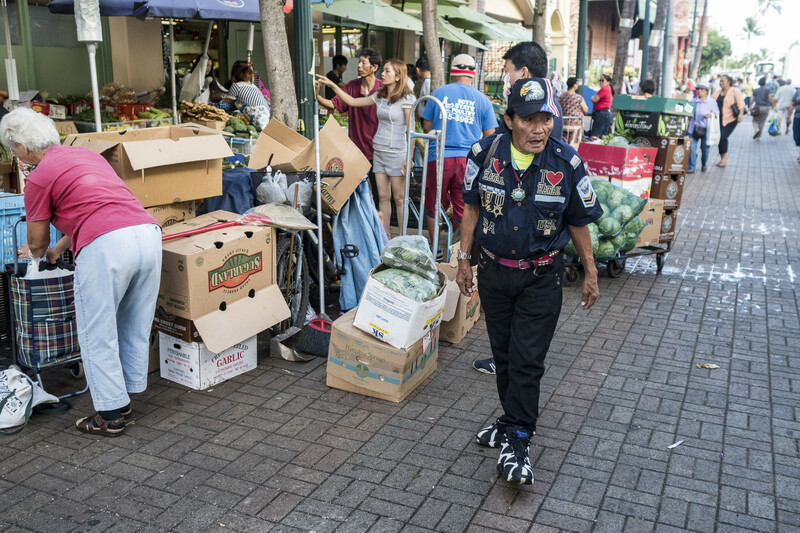 A worker transports a load of produce as Honolulu’s Chinatown awakens to another weekend morning. 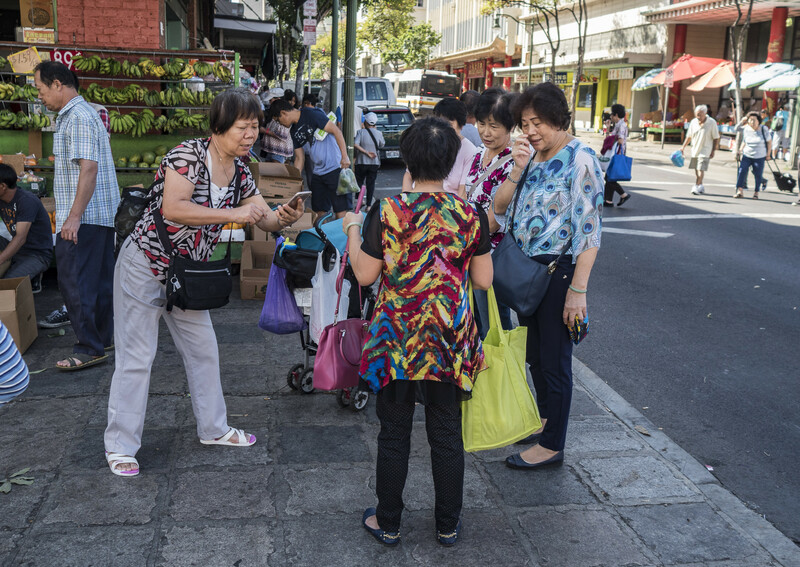 The sidewalk action picks up as patrons shop for what will likely become the ingredients for lunch or dinner. 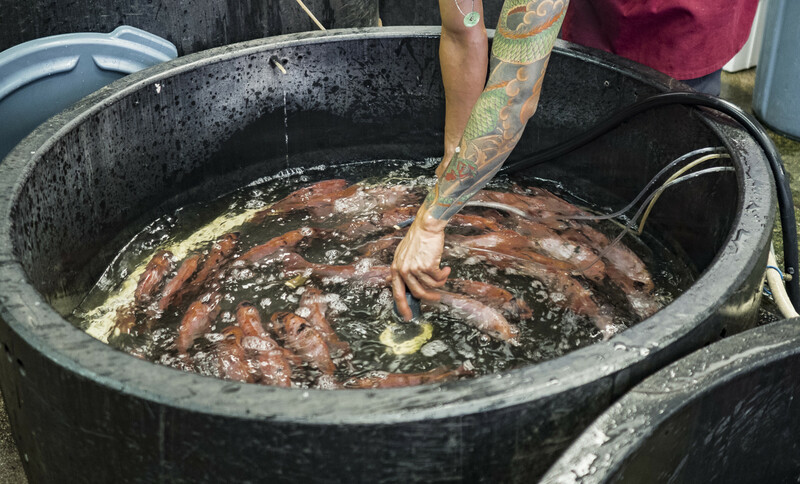 The fish are stirred up as a worker changes a water bin filter. 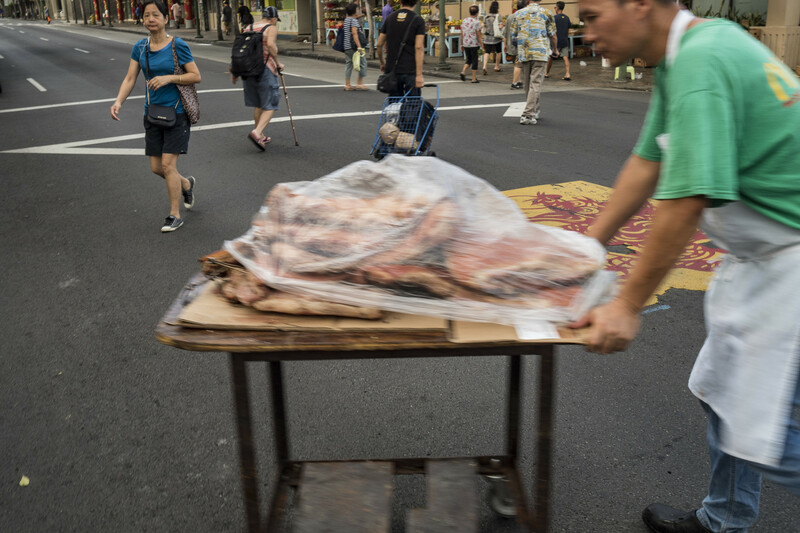 Pig carcasses, whole or in parts, are a common sight along the markets’ long meat counters. 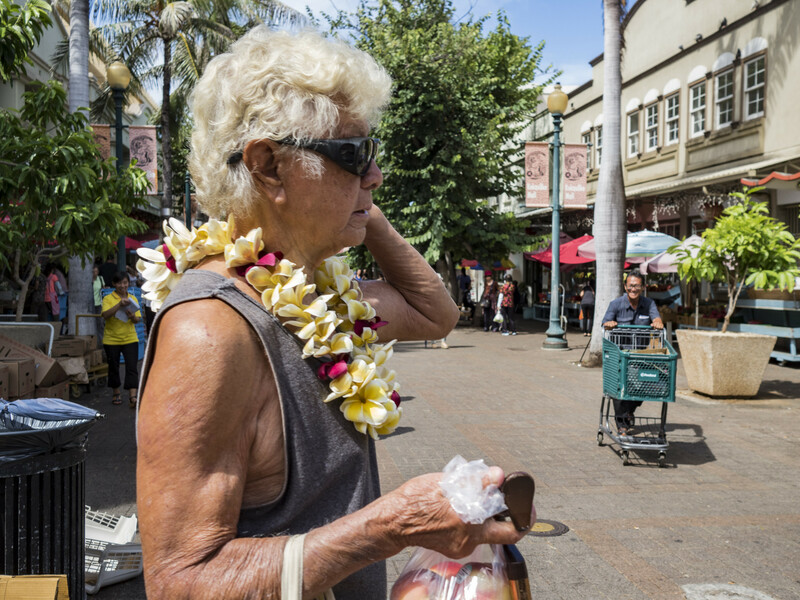 A local woman sports a plastic lei. 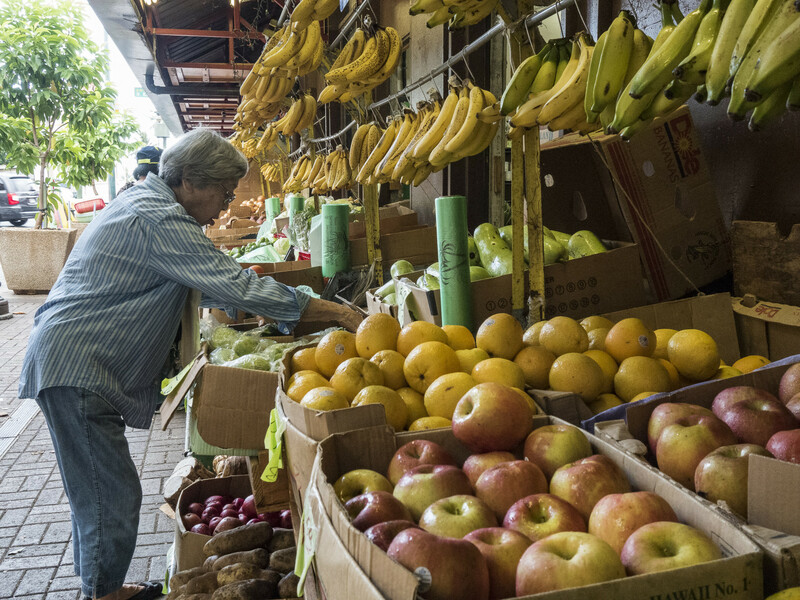 She is a regular customer in Chinatown. 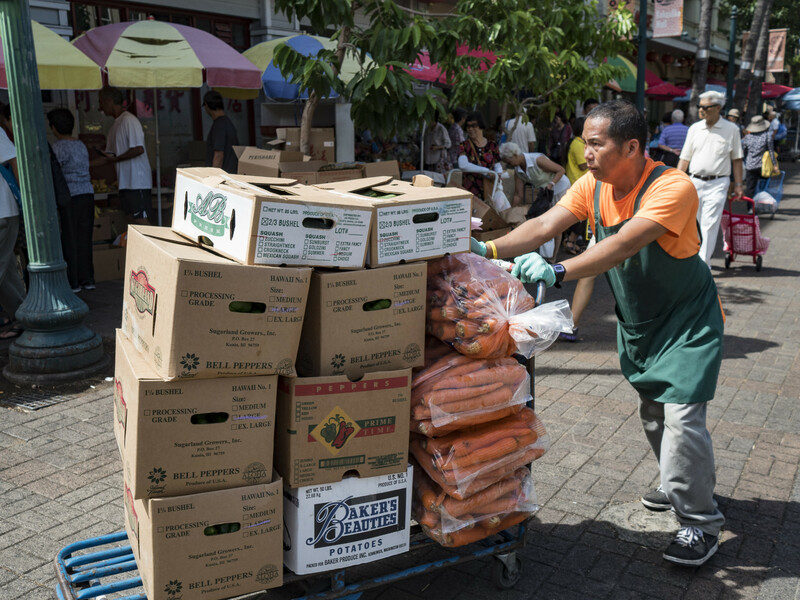 Fresh fruit and vegetables are in abundance early. 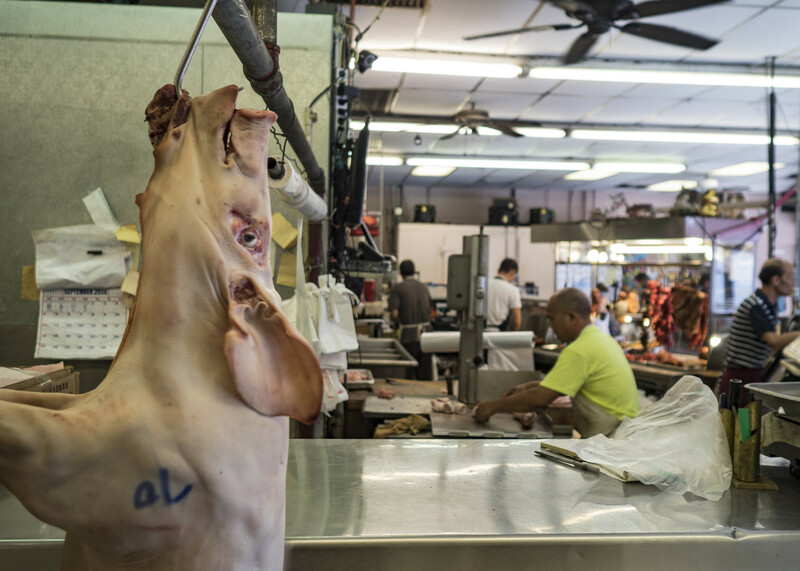 After the butchering, a deep-fried pig is ready for a bulk purchase. 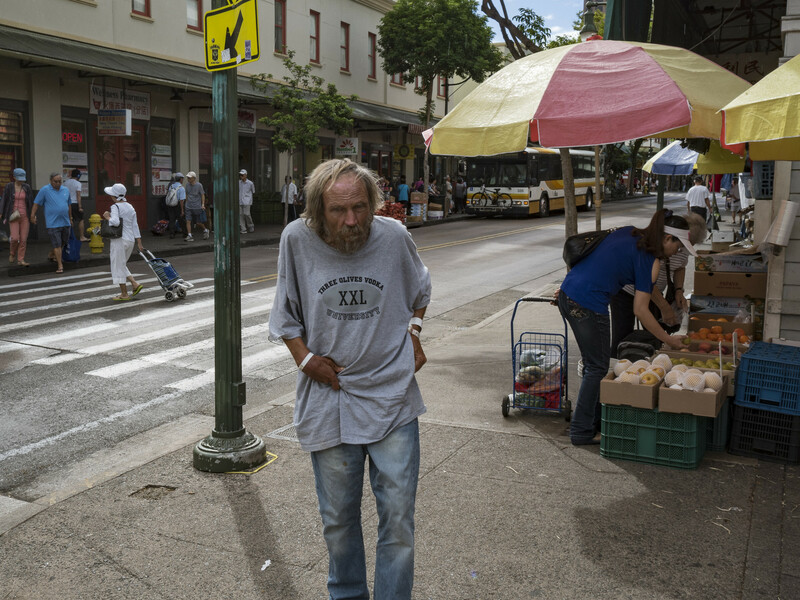 Homeless people are plentiful on the Chinatown streets. While some people are engrossed in the shopping, others take in the sights. 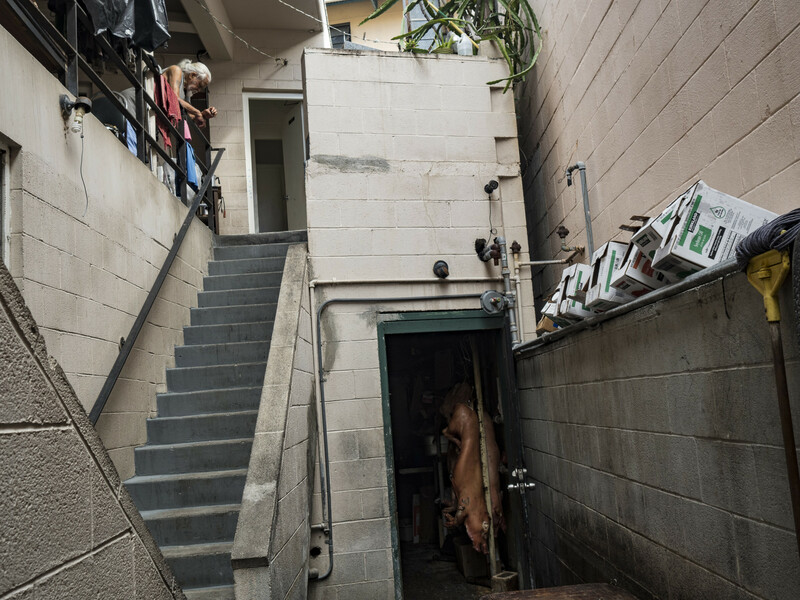 Off the main streets, a resident contemplates the day in an apartment above a butcher shop. It’s time for a snapshot as friends show off their fashion designer bags.